Last week my husband went on a date with another woman. Well, another girl. My daughter. 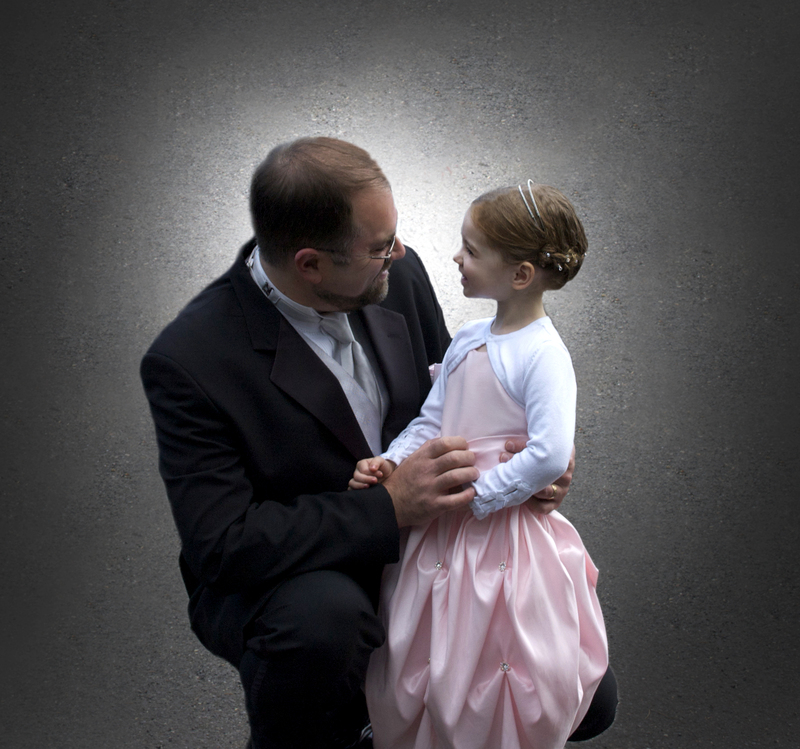 They joined about 30 other dad and daughter couples at a Father Daughter Dance. He rented a tux. She had sparkly gems in her hair. I hope she never forgets it. I know I won’t. When I was a little girl, my father took me fishing. I did not wear sparkly gems. We tromped through the trees, followed a little creek up river and learned how to drop a line. My dad put the worm on the hook. I learned how to gut a fish and cook it on the camp fire. This was an amazing date. Little girls do best when they have loving dads. I am not an expert on child physchology. I have no scientific data to support any claims. My entire therory is based on my own experience as a daughter and trying to raise a daughter. I don’t by any means want to come down on single moms, I know a lot of amazing women who have single handedly raised great kids. However, I do want to push back on a cultural phenomenen that says that dads are extraneous. I want to yell at father’s I know who are too busy to pay attention to their little girls. I want to explain to them that it is vitally imprtant that their daughters feel loved by their fathers. If they don’t, those girls are sure to listen to whatever tripe the first interested boy dishes out. If you have a little girl, pick her up and dance. Or take her fishing. Check out this video and remember that God feels exactly the same about you.